Swiss Chalet is a Canadian chain of casual dining restaurants founded in 1954 in Toronto, Ontario. As of 2015, there are over 200 Swiss Chalet restaurants in Canada. Swiss Chalet is among the holdings of Recipe Unlimited, which also owns the fast food chain Harvey’s. Swiss Chalet and Harvey’s franchises share many locations. 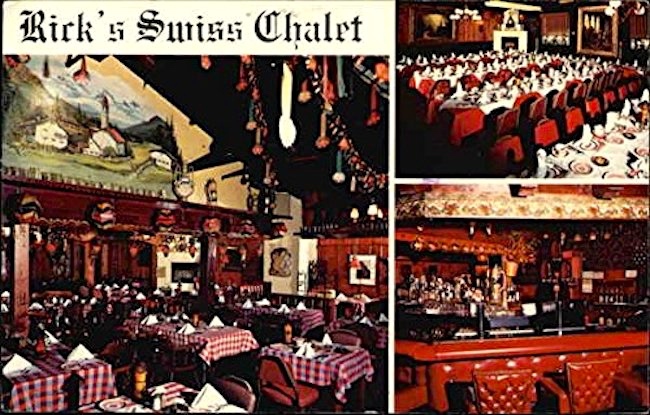 The first Swiss Chalet restaurant, at 234 Bloor Street West in Toronto, operated for 52 years. The building featured exposed-beam ceilings in the Swiss chalet style. This store closed in 2006 and was demolished in 2009 as part of a condominium development. … Restaurant fare is based upon its signature item, rotisserie chicken. The Quarter Chicken Dinner, the restaurant’s signature dish, includes a roasted chicken leg or breast with “Chalet Sauce”, a bread roll and a side dish. The company also purveys some non-chicken items, such as ribs, rotisserie beef, burgers and poutine. 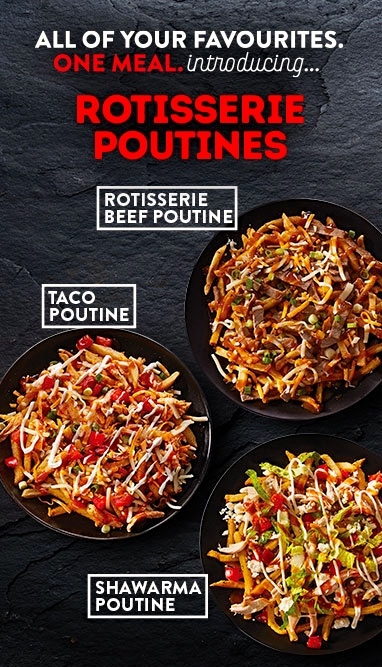 Swiss Chalet is offering their own unique take on an iconic Canadian dish with the introduction of new Rotisserie Poutines. The new menu item is available in three varieties, including Rotisserie Beef Poutine, Shawarma Poutine, and Taco Poutine. Rotisserie Beef Poutine – Fresh-cut fries topped with slow roasted rotisserie beef, cheddar cheese, green onions and gravy. Shawarma Poutine – Fries with a lemon pepper seasoning and topped with rotisserie chicken, feta cheese, lettuce, tomatoes and drizzled with garlic aioli. Taco Poutine – The brand’s fries topped with rotisserie chicken in an ancho sauce, melted cheddar cheese, tomatoes and sour cream. Poutine (/puːˈtiːn/; Quebec French: [put͡sɪn]) is a dish originating from the Canadian province of Quebec consisting of French fries and cheese curds topped with a brown gravy. The dish emerged in the late 1950s in the Centre-du-Québec area and has long been associated with the cuisine of Quebec. 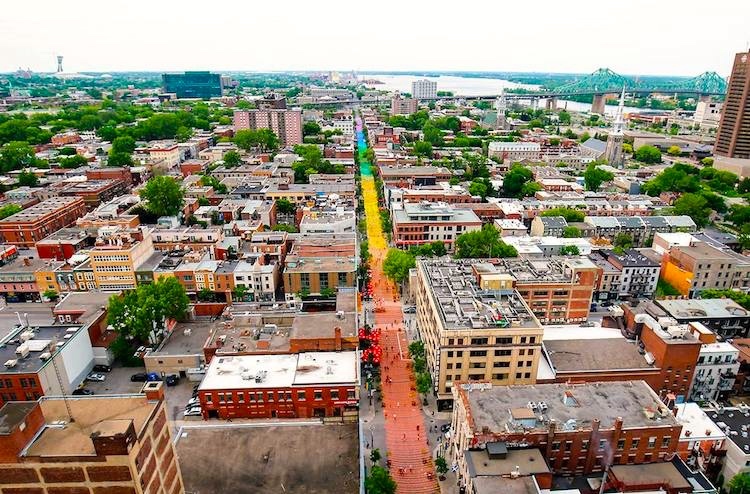 For many years, it was negatively perceived and mocked and even used as a means of stigmatization against Quebec society. Later, poutine became celebrated as a symbol of Québécois cultural pride, and its rise in prominence led to popularity outside the province, especially in central Canada and the northeast United States. Cheese curds are the moist pieces of curdled milk [heated and drained to dry them] and either eaten alone as a snack, or [as an ingredient in other foods]. 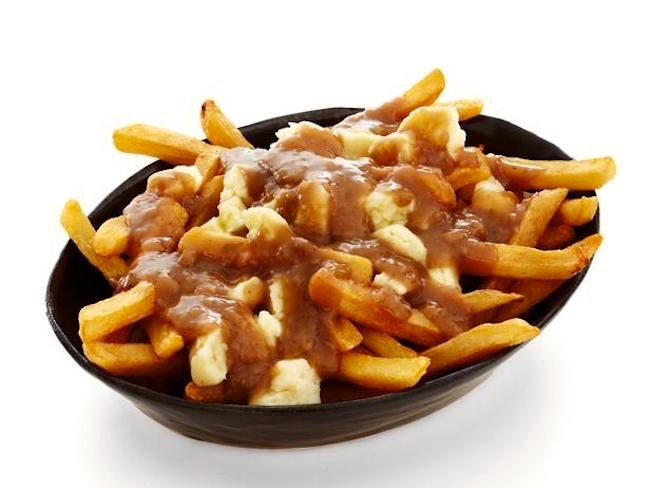 These are chiefly found in Quebec, Canada, in the dish poutine (made of french fries topped with cheese curds and gravy), and in the northeastern and midwestern United States. Curds are sometimes referred to as “squeaky cheese”. Sociocultural matters (and a specialty restaurant). The European French are inclined to view French Canadians as provincial yokels, their inferiority evidenced in their crude ways of life — eating poutine, in particular — and in (from the continental point of view) their barbaric variety of French, in many lexical choices and, notably, in some widespread features of French Canadian pronunciation. Especially the two in the Québecois rendition of poutine: affrication of t and d before a high front vowel (giving [t͡s] rather than [t] in poutine); and laxing of /i/ in closed syllables (giving [ɪ] rather than [i] in the second syllable of poutine). Meanwhile, Anglophone Canadians, especially in urban centers, similarly devalued Québecois culture. But it sometimes happens with disparaged groups that social movements promoting solidarity and pride seize on elements of their culture that are prominently scorned by outsiders, to reclaim then and celebrate them as symbols of group identity. This seems to have been what’s happened with poutine. 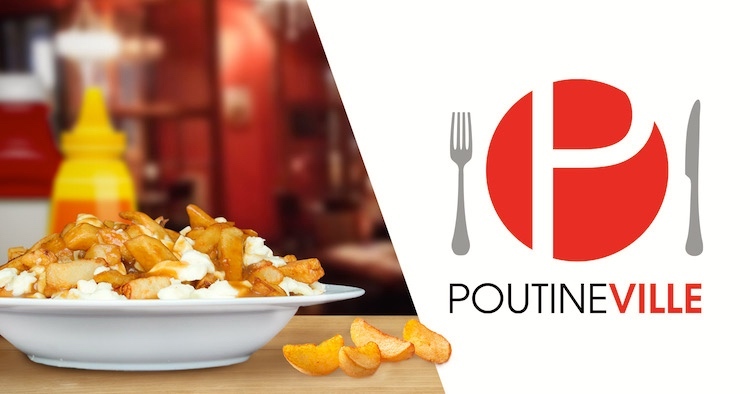 In fact, poutine has been developing into a wider Canadian symbol. THE HEART ATTACK (OVER 15 POUNDS – THE BIGGEST POUTINE IN TOWN) – Fresh crispy potatoes, chicken, bacon, hot dogs, minced beef, ham, onions, green peppers, tomatoes, mushrooms, fresh curd cheese and mozzarella with our homemade poutine gravy. Swiss chalets. The Canadian restaurant chain seems to have settled on its (original) architecture and decor simply for their rustic quaintness. In any case, the buildings are indeed Swiss, although they have migrated well beyond their Alpine origins and functions. … With the emergence of the Alpine travel business, chalets were transformed into holiday homes used by ski and hiking enthusiasts. Over the years, the term ‘chalet’ changed to be applied generally to holiday homes, whether built in a strictly Alpine style or not. 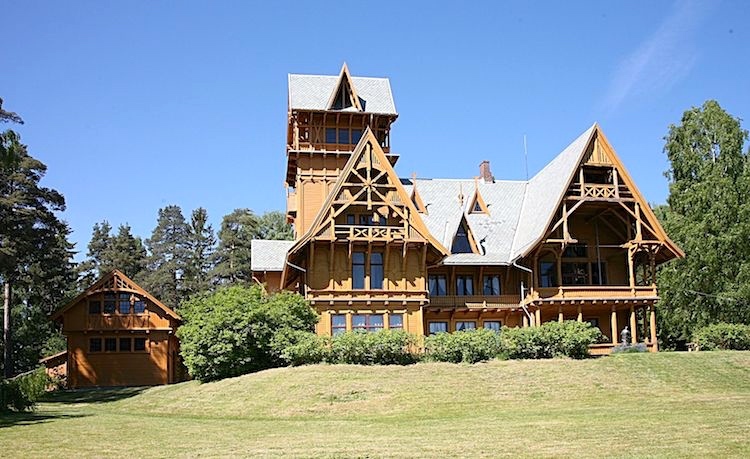 In Quebec French, any summer or holiday dwelling, especially near a ski hill, is called a chalet whether or not it is built in the style of a Swiss chalet. Swiss chalet style (German: Schweizerstil) is an architectural style of Late Historicism, originally inspired by rural chalets in Switzerland and the Alpine (mountainous) regions of Central Europe. The style refers to traditional building designs characterised by widely projecting roofs and facades richly decorated with wooden balconies and carved ornaments. It spread over Germany, Austria-Hungary and Scandinavia during the Belle Époque era. Swiss chalet style originated in the Romantic era of the late-18th / early-19th century, when the ideas of the English landscape garden inspired parks and residences in Germany, such as the Dessau-Wörlitz Garden Realm. It became highly appreciated on the continent by noble landowners who were impressed by the “simple life” of people living in the mountains. The chalet style soon spread over the German Mittelgebirge landscapes such as the Harz mountains or the Dresden area and the adjacent North Bohemian region. As a “modern” building style, it also influenced the resort architecture along the Baltic seaside, like in Binz or Heringsdorf. Around 1900, design elements were used in the construction of numerous bourgeois family homes as well as by notable architects like Heinrich von Ferstel to build larger mansions and hotels. The style was further popularized by the first waves of tourism of rich people from the North and West of Europe and became popular in other parts of Europe and North America, notably in the architecture of Norway, Iceland and the Netherlands and in the country house architecture of Sweden and Cincinnati (Ohio, USA), in the late 19th and early 20th century. English examples of the chalet style include the Boathouse at Belton House, Lincolnshire, by Anthony Salvin and the Swiss Cottage at Osbourne House, on the Isle of Wight, constructed for Queen Victoria’s children. Set out on any major American highway these days and your choices for lunch are pretty limited. Unless you want to forgo making “good time”, your roadside options usually consist of six fast food logos arranged neatly on a blue “Gas Food Lodging” sign. And with rare exception the choices do not stray very far from some combination of Taco Bell, McDonalds, KFC, and the like. Down South you may find a few more Hardee’s and out here you might see an In-N-Out or two, but a highway lunch is going to pretty much consist of something deep fried and coming through your car window in a white paper bag. But there was a time when the eating possibilities on the American roadway were an essential part of what it meant to travel, when the array of cuisines and restaurants that each community offered was part of the tapestry of the trip. Back then the roads most travelled were not anonymous Interstates but distinctive state highways, and the landscape was dotted with fancy restaurants, rickety old hot dog stands and occasionally a diamond in the roadside rough. In the years after World War II and well into the 1970s, El Camino Real in Palo Alto was one of those highways. As old US 101, El Camino was a main road leading from San Francisco to San Jose — and as such, it was a kind of showcase for restaurants vying to fill the stomachs of hungry travelers. The stretch of El Camino in southern Palo Alto was a convenient and popular locale for roadside restaurants that wished to avoid strict liquor laws. State laws passed after prohibition banned hard alcohol sales within a mile and a half from college campuses such as Stanford. As a result, dinner couples, highway travelers and university students in search of a drink all frequented Restaurant Row on the old King’s Highway. Three of the most storied of these restaurants were owned at one time by the same man — the venerable restaurateur and hotel wiz, John Rickey. Rickey’s Studio Inn, Rick’s Swiss Chalet and Dinah’s Shack (bought by Rickey in 1950) were all well-known stops for Highway 101 travelers. And they demonstrated the great variety of cuisines that could be found on one road. … Rick’s Swiss Chalet was geared specifically to the food and tastes of the owner’s native Switzerland and provided European ambiance, courtesy of Southern Bavaria’s Edelweiss Trio. 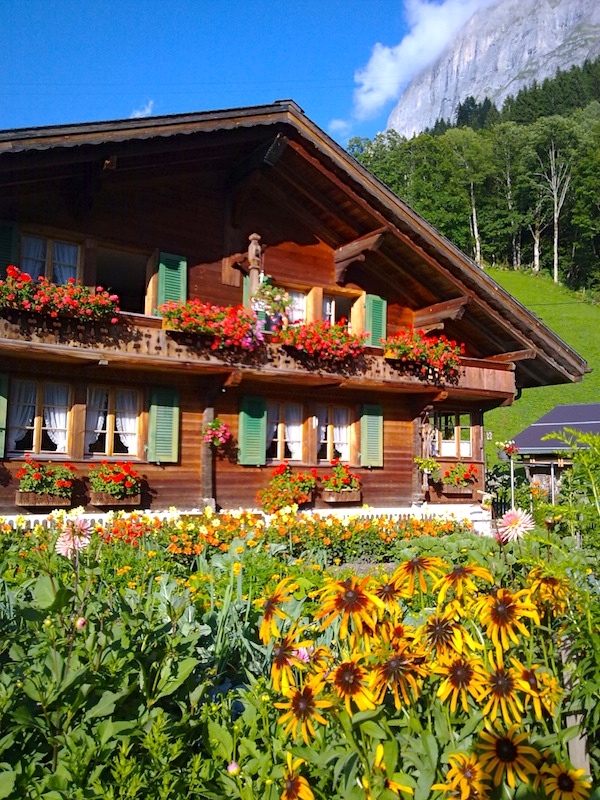 The Chalet hosted the first meeting of the still-active Peninsula Swiss Club. From 1961-1985, the restaurant served some 3 million meals on El Camino Way where the Goodwill store now stands. This entry was posted on August 8, 2018 at 9:27 pm and is filed under Architecture, Dialects, French, Gender and sexuality, Language and food, Language and society, Rainbow, Switzerland and Swiss things, Variation. You can follow any responses to this entry through the RSS 2.0 feed. You can leave a response, or trackback from your own site.